Josh got the internship! He’s mega excited. He won’t be paid, but he said the experience will be awesome. The school is going to give him extra credit, too. Plus the internship will totally help with his college applications. Maybe I should rethink this waitressing thing. Problem is, I don’t have a clue about what I want to do when I graduate college. That’s one vision I’ve never had! Guess I have to figure that on out on my own. Becca said she’ll probably be going to summer camp again. She’ll be away from the middle of June to the middle of August! With Josh working and Becca away, this summer is sounding like it’s going to be a real bummer. Becca wants me to go with her to camp—even said she’d ask her dad to pay for it (like my parents would be okay with that. Not!) Her camp sounds pretty awesome. It’s in Colorado and she goes horseback riding, hiking, does crafts, learns to shoot a bow and arrow. She says the best thing, though, is that it’s co-ed. Poor Mike. I don’t know how he keeps hanging in there. 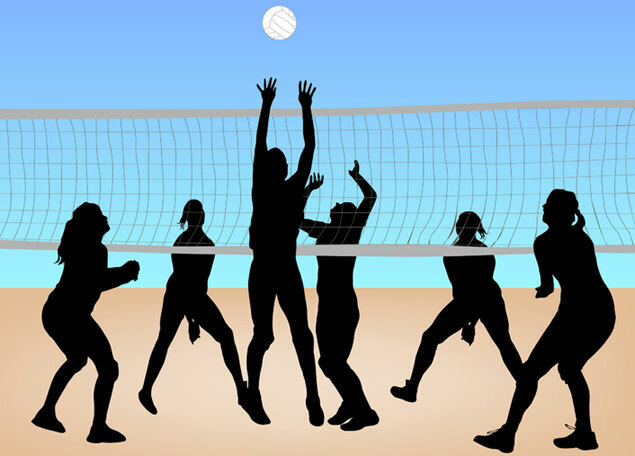 There’s a volleyball tournament at Siesta Key Beach this weekend. College kids from all over are coming to compete. Becca, Mike, Josh and I are going on Saturday. We’re bringing a picnic lunch and spending the whole day there. Can’t wait. I intend to make the most of the little time I have left to spend with Becca before she leaves.